Shalom uvruchim haba-im to the Thirty-first Learn Hebrew Pod Newsletter. Having a well-stocked first aid kit on hand is always a smart idea, especially when preparing for outdoor activities and backpacking trips (good job, Liat!) But what happens when the medical emergencies are too serious for us to take care of ourselves? 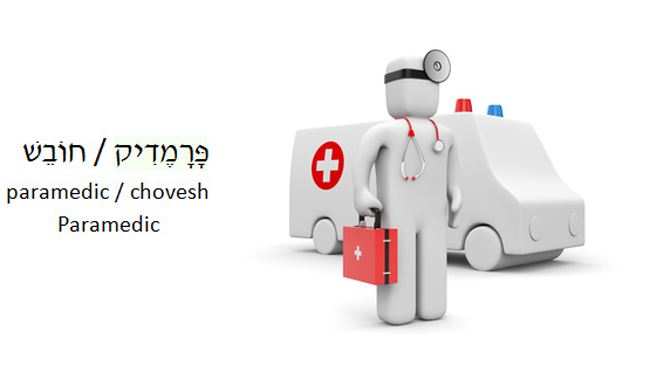 In Israel, the answer is מָגֵן דָּוִד אָדֹם--Magen David Adom--Israel's national emergency medical, disaster, ambulance and blood bank service. MADA (as it is often called) operates 95 first aid stations throughout the country and a fleet of over 700 ambulances. Magen David Adom is a non-profit, non-governmental organization, and like many organizations in Israel, is staffed mainly by volunteers. 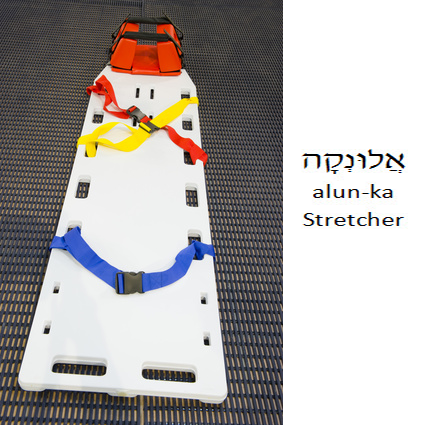 Over 10,000 people volunteer over one million hours per year to save lives in Israel. Magen David Adom has friends’ societies in 19 countries on 5 continents, through which people all around the world contribute to help to support its life-saving activities. 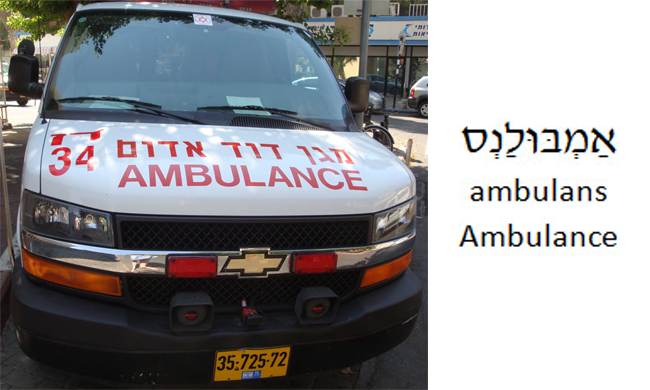 In fact, if you see an ambulance in Israel, you will most likely see that it displays the name of the country and community that donated it to the people of Israel. To learn more about Magen David Adom and its vital work, we invite you to visit its website at www.mdais.com. 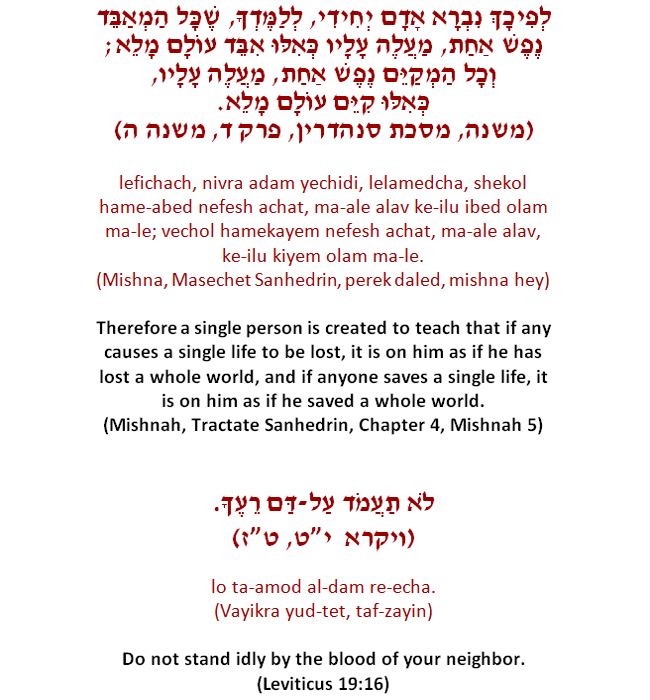 In Jewish law, the principle of pikuach nefesh (“saving a life”) teaches that preserving human life is so important that it takes precedence over almost all other laws in the Torah. So, the rabbis teach, if a person is drowning, it is the obligation of everyone who can swim to dive into the water to save him. So many suggestions for lesson topics from our atudents . . and for this lesson, Dan, Liat ^ Jonathan chose a very special one! Join Learn Hebrew Pod on our tour of the Israeli government.